This organization deals with maintenance of Traction Power Supply installations, Over Head Equipment, Supervisory Control And Data Acquisition systems etc. 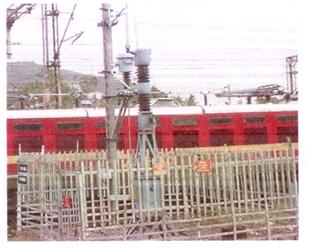 The electrification process started in between Vijayawada to Balarshah from July 1987 and was completed in June 1989. The second section to be energized was Kazipet to Sanatnagar which commenced in December 1991 and concluded in December 1993. 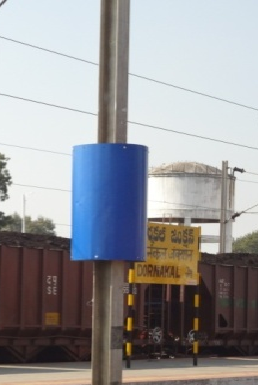 The The third stage of electrification was taken up between Dornakal-Karepalli –Singareni (Ellandu)in 1996. Fourth stage of electrification was between Sanatnagar to Lingampalli to facilitate the MMTS services to Lingampalli, during 2003. The section Karepalli-Bhadrachalam Road- Manuguru was electrified in 2008. The electrification between Lingampalli and Wadi was completed in the year 2013. The number of route kilometers electrified in the division has reached 2601 track kilometers, contributing significantly to movement of freight and passenger traffic. 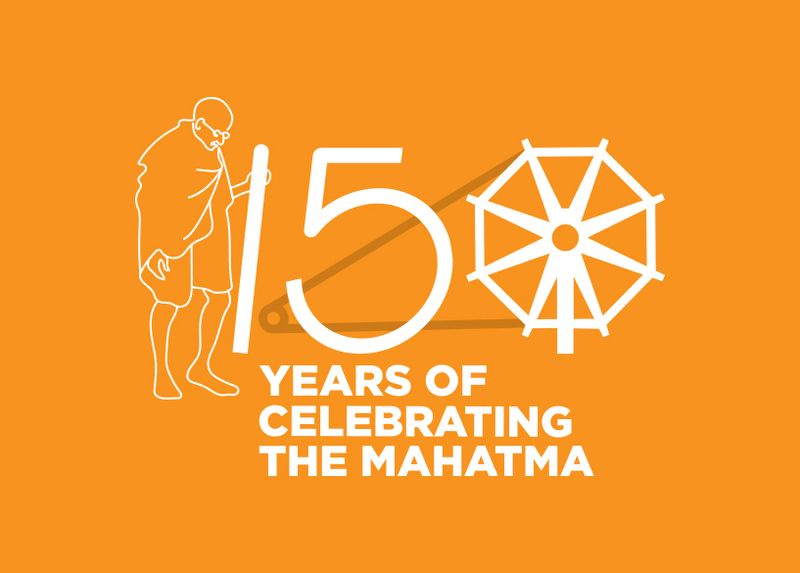 The Organisation is headed by Sr.DEE , and assisted by sub-divisional Officers at Dornakal, Kazipet, Sirpurkhagaznagar, Secunderabad and Tandur. The division consists of 17 Over Head Maintenance(OHE) depots and 18 Power System Installations(PSI) depots/ sub-stations. The OHE depots carry-out preventive maintenance of the traction installations i.e. 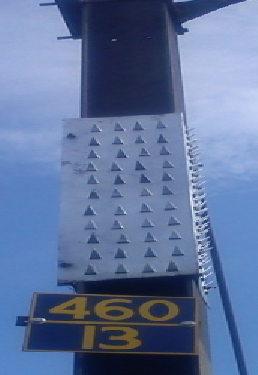 the wires over the track from which the Locomotive pantograph draws the current. The PSI depots maintain the Railway traction sub-stations which feed the OHE with 25KV A.C. Power. The PSI and OHE activities are monitored by the Traction Power Controller (TPC), who monitors the voltages of the system and advises the Section Traffic Controller to regulate trains when there is bunching of trains leading to low voltage and stalling of trains. The equipment at traction sub-stations and switching stations is controlled remotely by TPC. The monitoring of the Remote control equipment is also being. The activities of this department are maintenance of Traction power supply installations, Over head equipment, SCADA, construction activities pertaining to the section, and monitoring of energy conservation in electric traction. The Power to OHE required for hauling of electric locos is fed from the 18 Traction sub-stations maintained by Railways, with fool proof protective equipment. A 100% standby Power supply arrangement is designed for feeding un-interrupted power to traction. Railways takes supply from Supply authorities i.e. MSEB/APTRANSCO/TSTRANSCO/GESCOM at 220/132/110kV for more reliability. 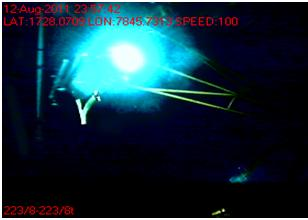 The 220/132/110 kV is stepped down to 25kV and fed to the Locos via the overhead equipment. *The Over Head Equipment is built on state of art technology, and designed to cater to Loco speeds of 160kmph. From November 26th 2015, power to WIRR/TSS is being supplied from RGPPL. Purchase of power through Open access, for supply to other Traction sub-stations fed by GESCOM, APTRANSCO and TSTRANSCO is also being pursued. Computerized Current collection and Stagger Checking equipment (Oliver ‘G’) with GPS mapping is being used for detecting sparking in OHE which removes any scope of errors which was prevailing in the earlier conventional method. 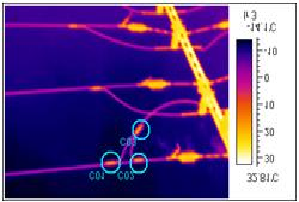 Thermal images of the jumper connections are taken for monitoring the conditions of the connections, since it is not always practically possible to check the same physically under power block conditions. 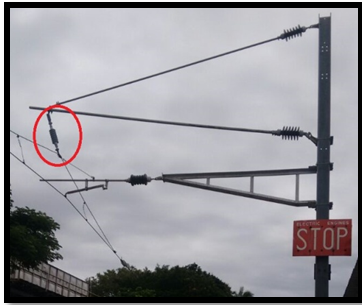 Isolation of fault in sidings without effecting the main line traffic is ensured by providing CB/BM at SNF/TSS (to isolate AMQ by-pass Line), KZJ/TSS (to isolate ELS/KZJ & KZJ Yard), MTMI/SSP (to isolate JPTN-MACU section), RRPM/SSP (to isolate Zuvari Cements and Jaypee Balaji Cement sidings), DKJ/TSS (to isolate DKJ-KRA section), CHZ/SSP (to isolate FCI siding at CHZ), NPL/SSP (to isolate SAIL, RINL, CONCOR sidings), GDCR/SSP (to isolate Manikgarh Cement siding). Levelers have been erected at all coal loading points to prevent heaping of coal in the wagons which was causing breakdown of OHE. Majority of the CB trippings in Secunderabad division are due to the monkey menace. 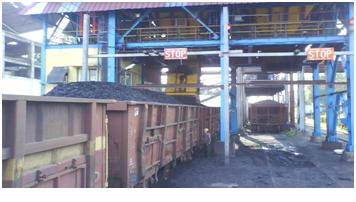 During the current year the modified arrangement is done at DKJ yard and found to be effective. Further, the new design will be followed at other places to contain the monkey menace. Long Register arm chairs have been modified by insulating the stay and bracket tubes, thereby reducing the possibility of monkeys or birds shorting the bracket tube with the RT chair. This arrangement is achieved by providing a 9-tonne insulator between catenary suspension clamp and catenary wire. 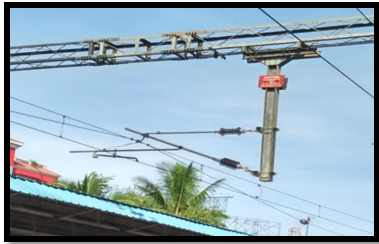 At one location in BKL depot jurisdiction ‘H’ value/encumbrance has been reduced to improve clearance from 75 cms to 150cms, which will significantly reduce the CB tripping chances due to bird nests or monkeys coming into contact with bracket tube of cantilever. Increase of Baud rate in KZJ-WD section, by upgradation of CPU software to 1200 Baud rate by M/s Synergy Systems. Modem setting of RTU's and front end processor increased to 1200 Baud rate. ( For other sections, CMC/RTU's of old version are not compatible). improvedand TPC can carry out feed extension / fault isolation in less time. 02 Nos LED based Miner's Cap lamp of 1800 LUX have been facilitated to depots to provide focussed light during work, to avoid the need for holding light by OHE gang staff, there by complying with CEE/SC's inspection note of KZJ depot on 29-03-2013.